If Paris is the only place that comes to your mind when you hear the word “romance”, then we hasten to please you: there are dozens of beautiful romantic destinations in the world. They are scattered among cities, secluded islands, mountains and lakes. Thanks to our friends, Ukrainian girls online, for providing us with these charming ideas. In 2011, the Iguazu Falls, located on the border of Brazil and Argentina, was named one of the seven natural wonders of the world. And there’s no surprise: The sight of water falling from the incredible height, surrounded by lush green vegetation, will leave no one indifferent. Where, if not in Venice, can be the most romantic channel in the world? And going through it in a gondola together with your loved one will surely be remembered forever. Especially at sunset, when city’s architecture becomes even more beautiful. Here, you can only think of love and enjoy your second half’s company. This elegant palace of white marble is considered the most grandiose manifestation of love and devotion in the world. It was built in honor of the wife of King Shah Jahan – Mumtaz Mahal, who passed away while being pregnant with king’s 14th child. Unable to get over his grief, the king promised to immortalize the beauty of Mumtaz and their love. He put all his feelings into a grandiose work of art – Taj Mahal erected directly above his wife’s grave. Königssee Lake (also known as Royal Lake) is located in the Alpine mountains and resembles the Scandinavian fjord. A picturesque landscape and crystal clear water leave an unforgettable impression. The place is calm and incredibly beautiful. And what else does a couple in love need? Charles Bridge is called the pearl of the Czech Republic. Its magnificent fairy-tale statues create a magical atmosphere. The construction of the Charles Bridge is connected with many legends, one of which is about the priest named Jan Nepomucky. He refused to give away the confessional secret about the lover of King Charles the Fourths wife. For this, the priest was thrown from the bridge into the river Vltava. Later, five glowing stars appeared on the spot where his body went under the water. Italy is simply riddled with romantic places. One of the most interesting ones is the Road of Love, located in the Cinque Terre National Park. A pedestrian road running along the coastal line inspires locals and tourists reminding them of love and no wonder why. When walking here you enjoy impressive landscapes, and the steepness of the road, the rocks, the smell of the sea, and the height only exacerbate the romantic feelings. That’s why it’s called the Road of Love. 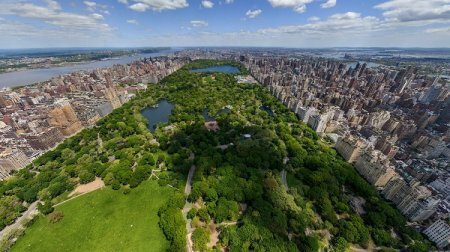 One of the most famous parks in the world, Central Park is a green oasis in the middle of a metropolis. Hundreds of couples meet here every day. At different times of the year, you can skate and sled in the park. Or you can go jogging, fishing, swimming, picking mushrooms, flying kites, feeding squirrels and birds, organize picnics or celebrate weddings, play, or just lie on the grass. Besides, various concerts are often held here. If you want to plunge into a quiet and peaceful atmosphere, you should definitely visit Butterfly Valley. Wildlife, the whole colonies of butterflies, waterfalls, dense vegetation, and silence – here it is, the real oasis of relaxation and solitude for lovers. This place is located away from the traditional Turkish beaches and hotels, and you can reach it only by sea.